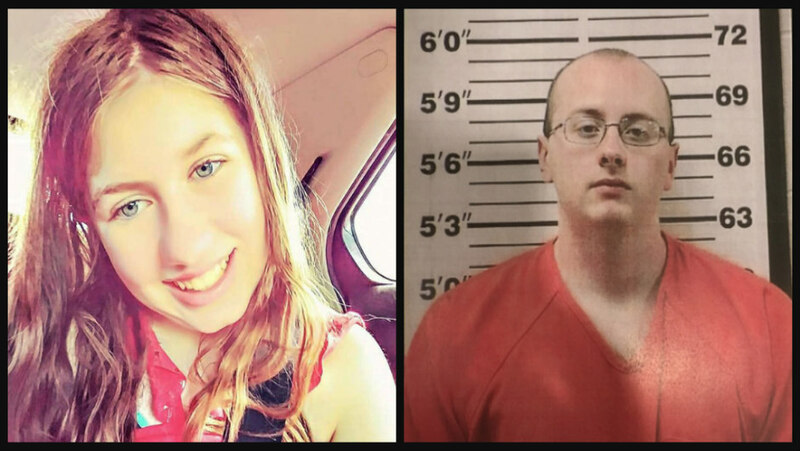 The monster Wisconsin man who killed two people and abducted their daughter, Jayme Closs, pleaded guilty on Wednesday to homicide and kidnapping. As a Barron County judge read out the charges against him, 21-year-old Jake Patterson acknowledged that he was voluntarily pleading guilty to the charges. Although he walked into the courtroom smiling and nodding at his family before he sat down between his defense team, the Wisconsin killer started crying and paused temporarily to catch his breath when the judge read the charges against him. How do you protect your children from predators? Join Nancy Grace and a team of world-class experts for the online course ‘Justice Nation: Crime Stops Here’. Patterson’s defense attorney confirmed that Patterson was not coerced or forced into taking the plea. Patterson was also charged with armed burglary, but under the pleas agreement, the charge was dropped. Sentencing has been scheduled for May 24. Patterson faces life in prison. The man charged in the abduction of Jayme Closs and murders of her parents is expected to enter a plea. Patterson kidnapped 13-year-old Jayme in October 2018, after shooting her parents, James and Denise Closs, dead inside their Barron County home. After his arrest in January 2019, grim details about the crime and Patterson’s personal life began surfacing. According to Barron County Sheriff Chris Fitzgerald, Patterson was unemployed at the time of his arrest. He worked at the Jennie-O turkey plant in Barron County a few years ago, but only for a few days. It’s the same place Jayme’s parents worked at, but there is no indication that Patterson knew them. No other records have been found to show that Patterson has worked anywhere else. Patterson spent most of his life in a Gordon home. He attended Northwood High School and was on the the quiz bowl team. District Superintendent Jean Serum said he had a “great group of friends” and was a good student, according to the Pioneer Press. Kristin Kasinskas, the teacher who called 911 when Jayme and the woman who found her, Jeanne Nutter, arrived to her doorstep, was Patterson’s teacher in middle school. Patterson’s home in Gordon sits in a heavily-rural area surrounded by large trees in a remote area. A little over 600 people in total live in Gordon, and is often thought more of a vacation or hunting area. According to court records, the home Patterson lived in belonged to his father. Patterson’s father transferred the title home to Superior Choice Credit Union on October 23, according to NBC’s KARE11. While Jayme remained captive in the home, Patterson claimed they played games and watched television, but he also forced her under his bed when company came over and hit her at least one time with an object. For reasons not yet known, Patterson solely targeted Jayme. According to Fitzgerald, his main intention was not to murder her parents, but instead to abduct Jayme. Patterson reportedly had no other intended victims. Patterson kept Jayme hostage for 88 days before she found a way to escape and run for help. On Thursday at around 4:45 p.m., a woman was walking a dog in a housing development just outside of Gordon, when a girl with matted hair and oversized shoes approached her for help. The woman, Nutter, ran to a house in another neighborhood, hoping to get as far away from the home Jayme disappeared from before asking for help. They arrived at the home of Kasinskas and her husband, Peter, who live off of S. Eau Claire Acres Circle with their children. The neighbor, frantic, explained that the girl was likely Jayme, a 13-year-old who vanished after her parents were shot to death inside their Barron home. “This is Jayme Closs! Call 911!” the neighbor declared. Peter Kasinskas described Jayme’s demeanor as “flat,” according to the outlet, while Nutter explained Jayme walked up to her for assistance. While inside Kasinskas home, Jayme was offered food and drink but declined. The girl explained she had no idea where she was or anything about the area, but she thought she may have been there most the time she’s been missing. Adam Wilson and his family spent weekends at the cabin next to Patterson’s. Wilson told Fox6 that he had no idea Jayme was in the home. Wilson said he had met the Patterson family in the past and they were “nice and generous,” offering tools or anything he needed. Patterson used a shotgun during the early morning hours of October 15 to shoot down the door of the family’s home in Barron, where he then killed James and Denise before abducting Jayme. The sheriff stated that authorities “recovered a gun consistent with what was used” at the Closs home. KARE11 reports that Patterson was registered to vote at his mother’s home in Haugen, which is located in Barron County, around 20 minutes by car from the Closs residence. Aside from a photo of Patterson on a family member’s now-deleted social media account, authorities have not yet found any social media footprints for him. Neighbor Patricia Osborne told theStar Tribune she remembered both Patterson and his brother, Erik. Osborne said that although she didn’t know a lot of details, she heard a few disturbing things that reportedly went on while the brothers grew up. Meanwhile, Jayme is back in Barron, reunited with her family. She’s living with her aunt and said to be doing fine, given the circumstances. Check back with CrimeOnline as additional details become available. Join Nancy Grace for her new online video series designed to help you protect what you love most – your children. Star of “Serial” Podcast convicted of murdering high school girl, Adnan Syed, getting new trial?